Every second buyer (in random order) of all our products leave positive feedback - receive one of the more than 40 different games to Steam. What? This you will find out when you receive your gift in the mail. Gift Newsletter is done within 48 hours after writing a comment. Winning at your fingertips! 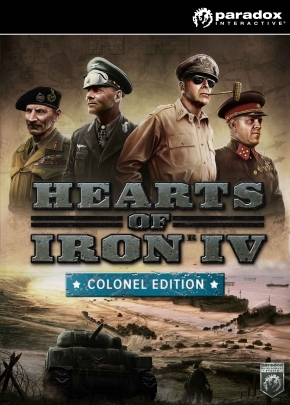 you will be able to lead any state during the Second World War, the most large-scale military conflict in world history in the strategy game Hearts of Iron IV - your ability to lead a nation will be your main weapon. From hell to the advanced headquarters and factories in the rear, you will command the troops, to negotiate, to invade foreign lands and protect their: the road to stardom is tortuous. The outcome of the Second World War will only depend on you. It´s time to show himself as the greatest general in the world. Repeated the story or you turn it around? Change the fate of the world if you are to reach the victory at any cost? - Total War strategy. War benefits not only on the battlefield, in the sea and in the air, but also in laboratories, factories, the hearts and minds of men and women. - Lifelike simulation of military operations in real time. 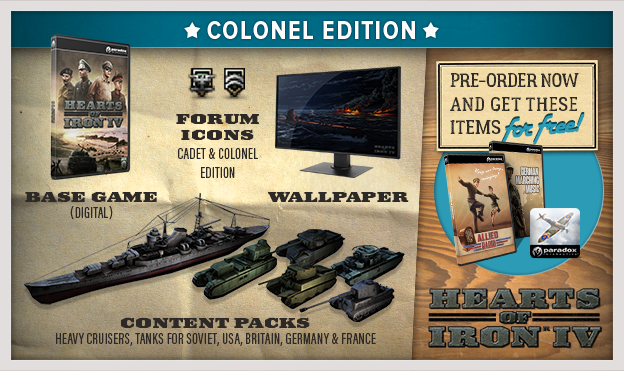 Let the greatest commanders of World War II to fight in your war with tanks, planes, ships, guns and the newly invented weapons of mass destruction. - Get up at the head of any state. Select the wards of the great empires, power-hungry, or small countries trying to weather the storm. - Turn your world into a battlefield. Nature is changing with time: snow, mud, thunderstorms can become your best ally or a ruthless enemy. - Negotiate or to impose their will. In the game you are waiting for an advanced system policy and diplomacy. Create alliances, negotiate trade agreements and to appoint ministers of your party. - Tense battle online. Battle with your friends in cooperative and competitive modes, up to 32 players, including cross-platform games. - Each state is unique. Use flexible technology system, through which all the major powers get their own unique features. Develop a detailed historical tanks and planes with the help of research and military experience.